eLearning Project Review & Collaboration in the Cloud. The eLearning review process just got a whole lot faster and easier with ReviewLink. 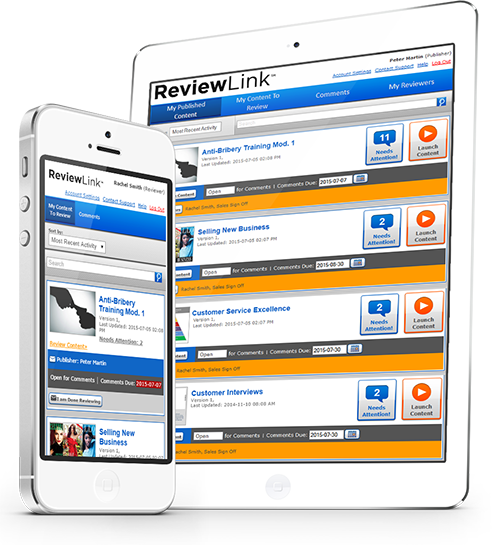 ReviewLink™ is a cloud based facility used to quickly, easily and seamlessly share and review content throughout your eLearning design, development and review lifecycle. 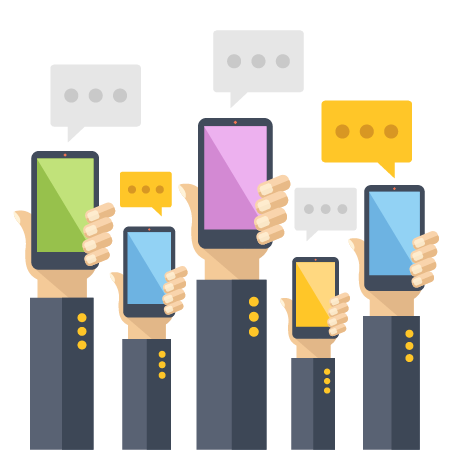 ReviewLink allows you to invite and manage as many people as you like to review and comment on your courses. This is useful for capturing the thoughts of subject matter experts, developers, and project steakholders, in a intuitive environment. With ReviewLink, you can easily publish courses directly from Lectora/Lectora Online, or upload SCORM content created in Adobe Captivate, Articulate Storyline or other software. 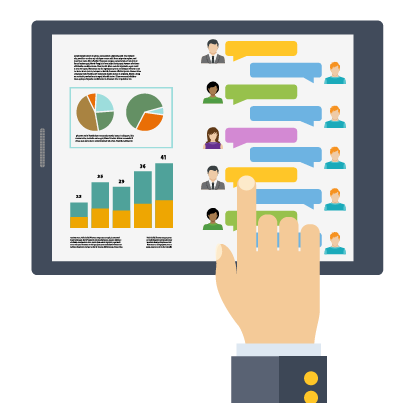 Reviewers can go through the course and complete assessments like a user will, while writing comments on each page to suggest amendments or share praise. 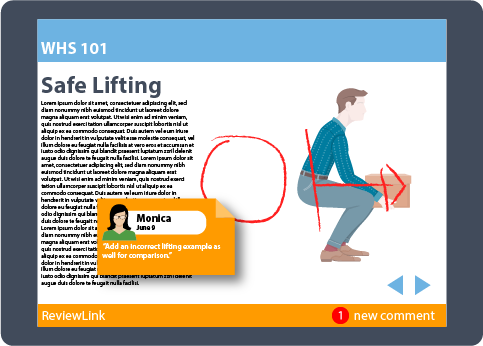 With ReviewLink 3.3 you can draw lines, arrows, ellipses, and highlights directly on the page to add visual enhancements to your course commenting. ReviewLink is cloud-based, meaning everyone can access from a web browser whether they are in the office or working from home. It also supports seven different languages. ReviewLink is also designed with Responsive courses in mind, so you can access ReviewLink from your smartphone or tablet as well as your PC. All of this means ReviewLink can be accessed anytime, anyplace, on any device. ReviewLink allows content publishers to easily track comments made by users, and view them page by page. Comments can be marked as complete so designers know what needs to be finished. Reviewers are kept in the loop when comments are marked as complete, and can confirm the changes. 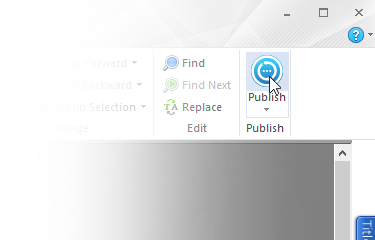 ReviewLink is included in Lectora Inspire, and can also be purchased as corporate multi user/multi author licences. For enterprises who cannot use cloud computing, ReviewLink is also available as an “on premise” installation.